My sister and her family live across the street from me so we are constantly getting together and letting the kids play around (especially during the summer time). Most days we get together and lay on the trampoline, and let our kids play and jump around. Isla and Cannon (Emily’s little boy) are the same age, so they are the best of friends. 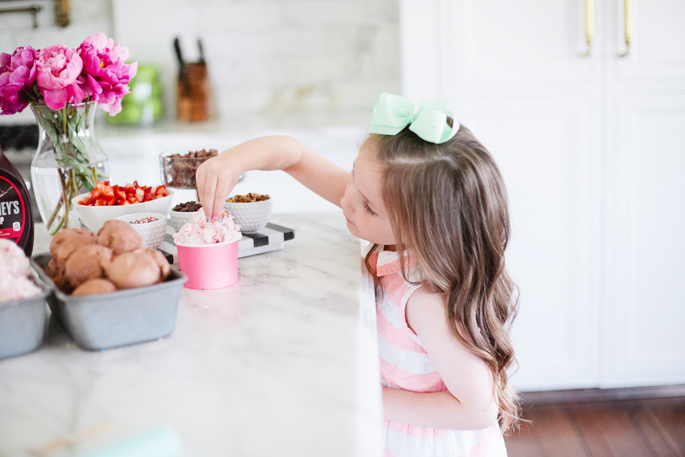 Capri, my niece who is 4, likes to boss them both around ;) I’m so grateful for those long summer days that are spent outside making memories and sharing ‘Hello Happy Moments’ with our family. Yesterday was the official arrival of summer! We had fun spending time outside, and hope you were able to soak up the summer sun, too. The other day miss Isla Rose invited her cousins over to play around outside and to eat some ice- cream. 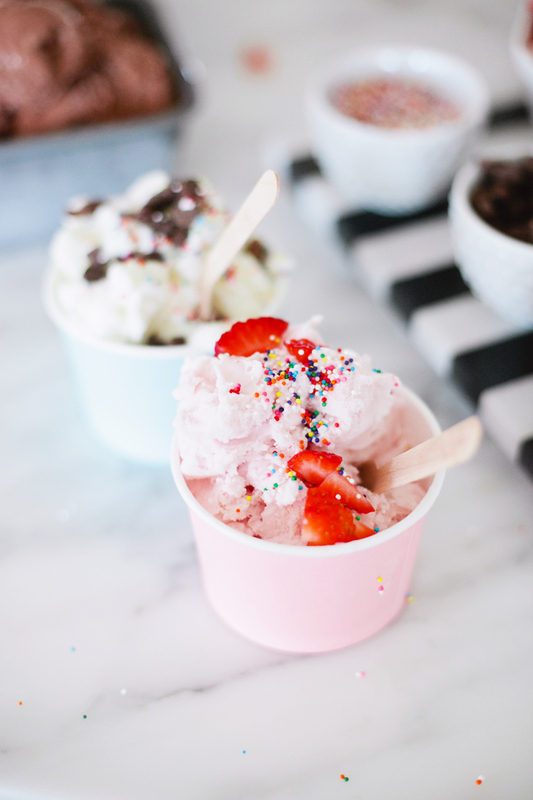 This summer if you are hosting a play date, having family over, or even hosting a birthday party, an ice cream party is a great way to bring both kids and adults (together to create some summer memories, fun and happy moments (plus it’s easy to throw together). To make the sprinkle cones, I filled a big bowl with HERSHEY’S Milk Chocolate Chips and melted them in the microwave. 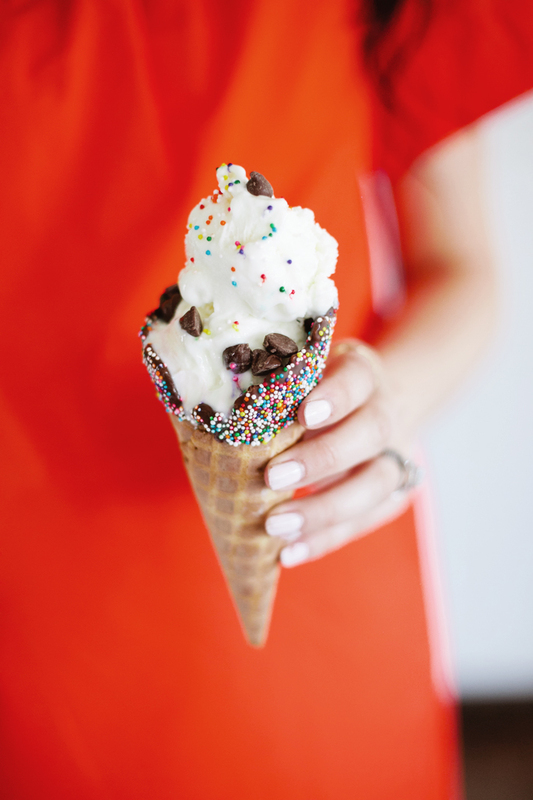 Then, I dipped waffle cones (my favorite) in the melted chocolate and added sprinkles before putting them in the fridge to harden for a few hours. 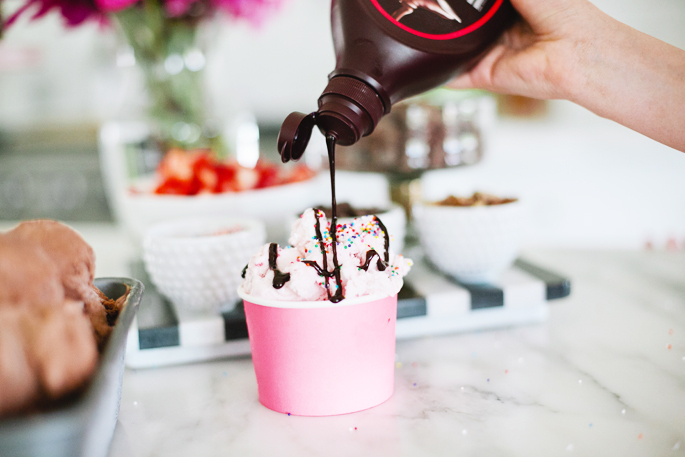 For the toppings, I created a DIY bar with HERSHEY’S Milk Chocolate Bars, HERSHEY’S Chocolate Syrup (of course, an ice-cream staple), strawberries, colorful sprinkles, whipped cream and some nuts! 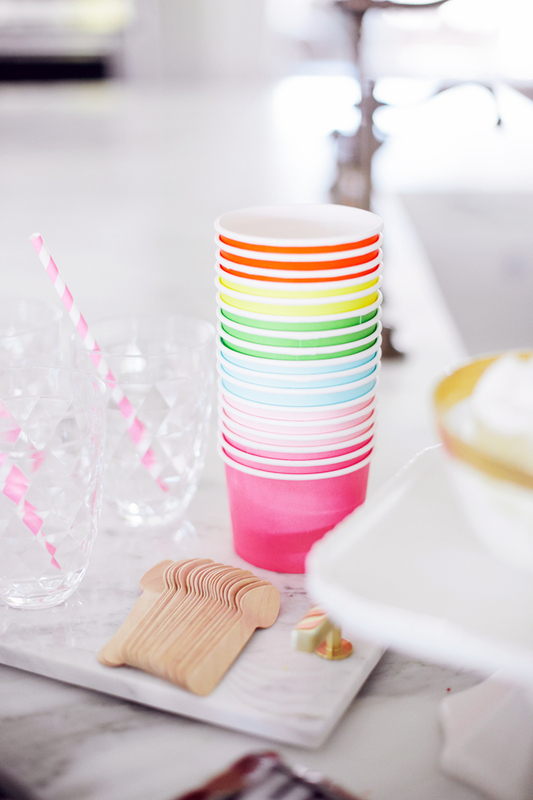 I also used some colorful paper ice-cream cups and mini wooden spoons, which made it easy for clean-up. As you can see from these photos it was a hit with the kiddies! It’s easy to get caught up in life’s routines, but it’s the moments like these with family and friends that are meant to be cherished for years to come. How are you planning to kick-off the start to summer with family? Wow, you are so talented. This looks amazing! Great photos! This looks like a great way to beat the heat. 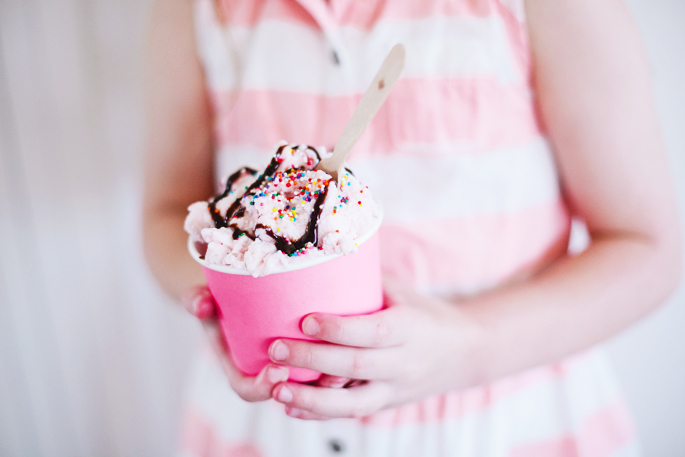 This is the most delightful ice cream party! So cute!!! 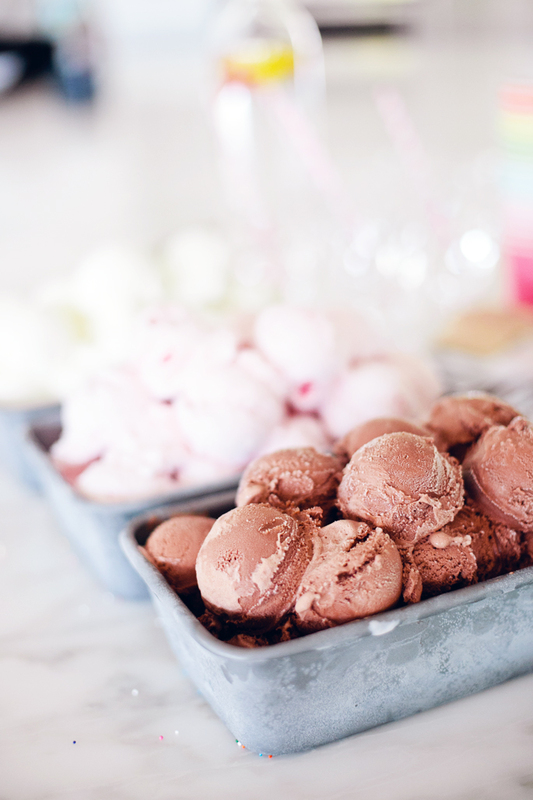 it looks so yummy, indeed perfect way to beat the heat, and i do eat ice creams a lot. This is so cute and such a great summer memory with family! Rach, you had me at ice cream scoops. 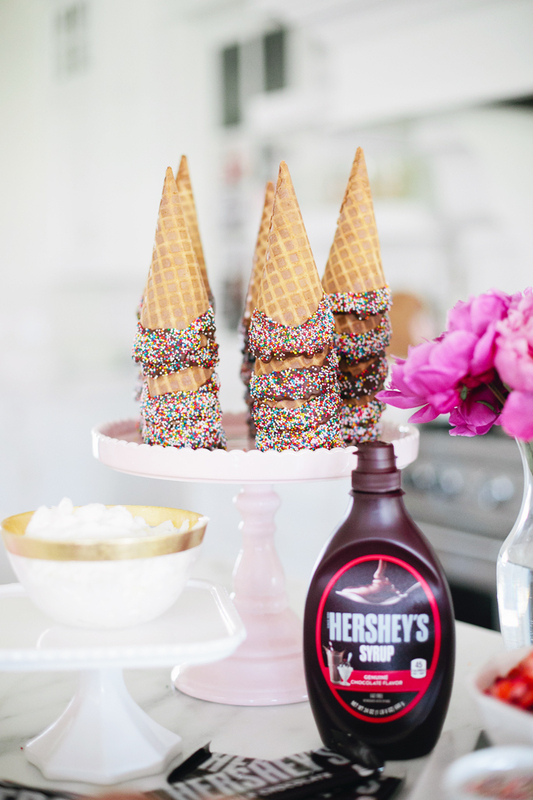 I love how you melted the chocolate to add the sprinkles to the cones, so creative. 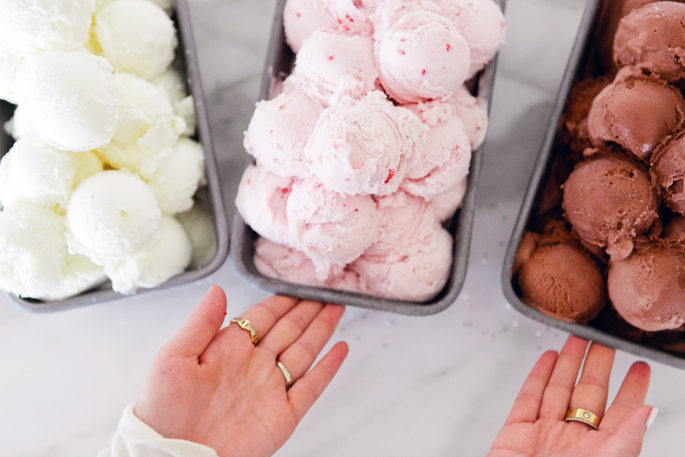 You’re totally right, ice cream just makes any gathering better. The kids look like they’re having the best time. Hope you’re having a good Tuesday. This spread looks like the perfect excuse to have a gathering! 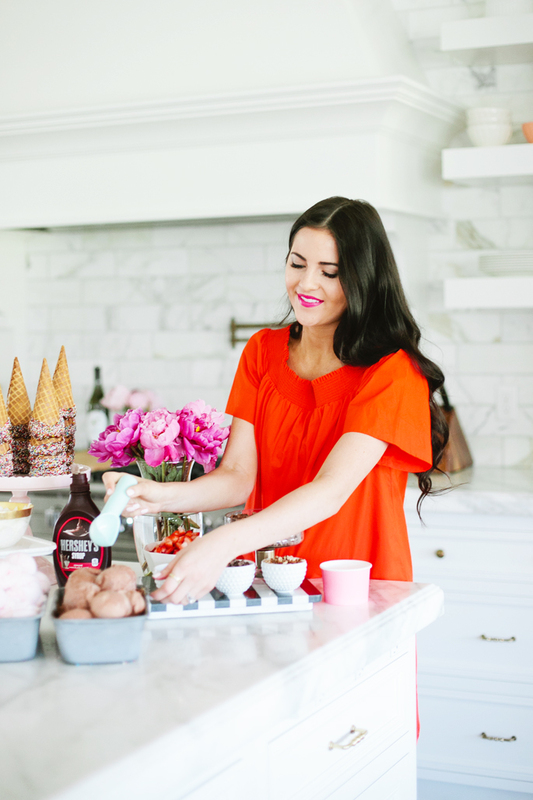 So much fun making sundaes and they’re tasty too! Such a fun treat!! 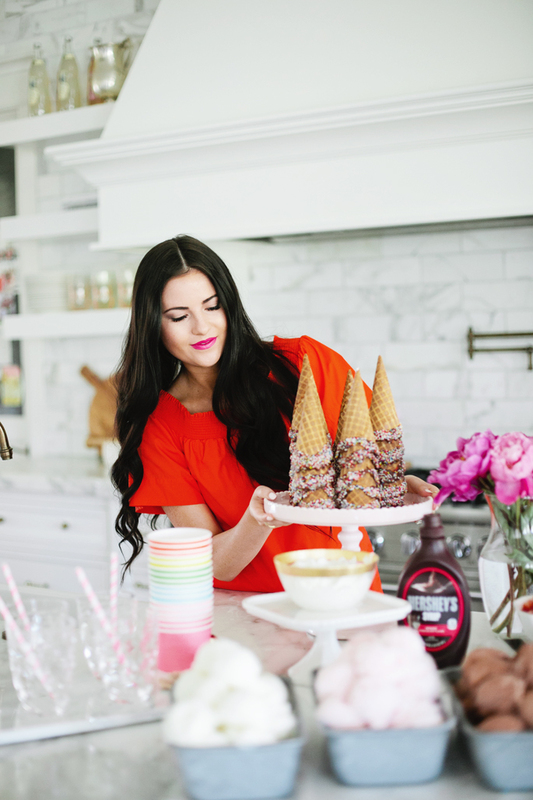 Those ice cream cones look delicious and who doesn’t love an ice cream bar?! It’s so wonderful to have your sister close by and kids close in age; looks like you will both be having lots of fun this summer! We kicked off the season with a backyard BBQ on our new patio :). 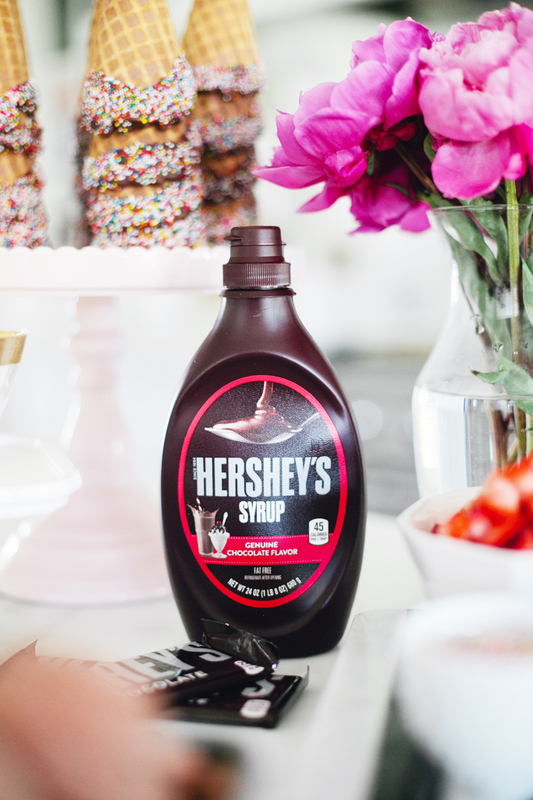 Honestly, there is little that makes me happier than an ice cream sundae on a hot summer day, plus it’s so simple for hosting friends too! What is not to love, and it’s so fun that everyone can make his or her own. Also, I love the color of your shirt. So summery! this is so cute! good job with the cones! This is so cute! Love this idea for showers or summer parties! Very fun for a hot summer day! 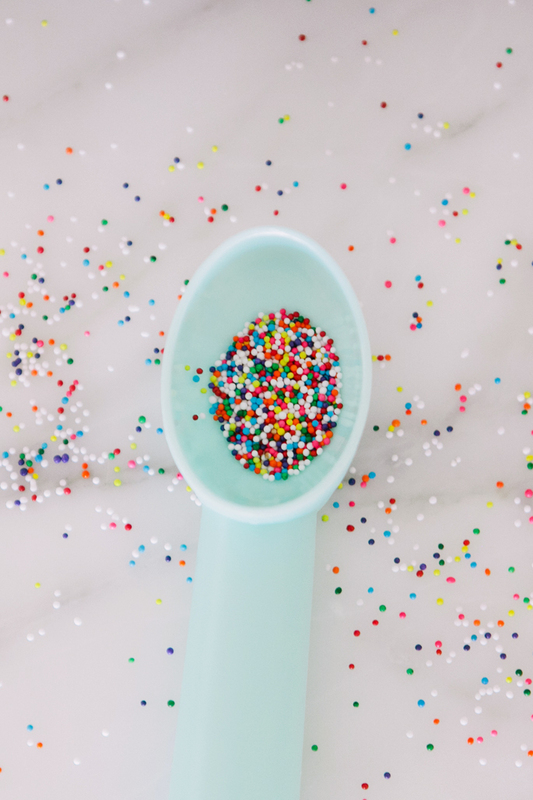 Looks delicious – such a great summer activity! Isla makes the cutest faces! That is so nice you have your sister to close to you and that your kids are growing up so close, family means everything! This is so darling! 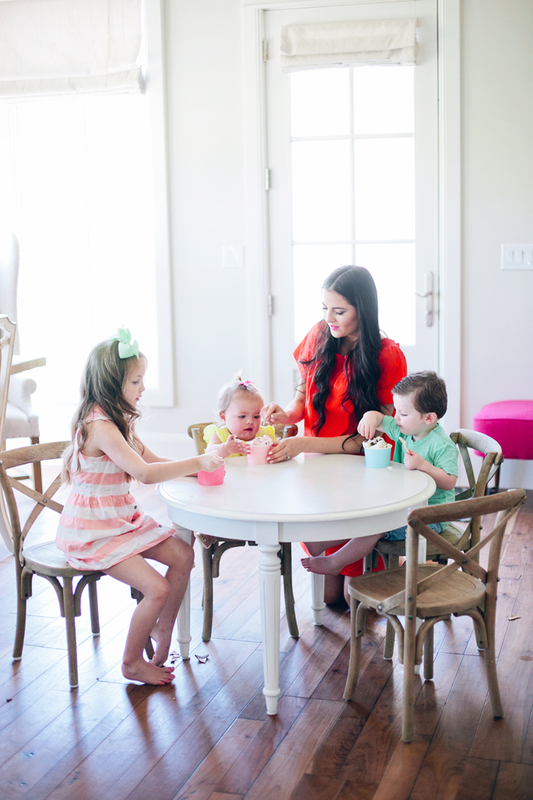 I love how you made a fun little play date for the kids and you made it super chic too!!! 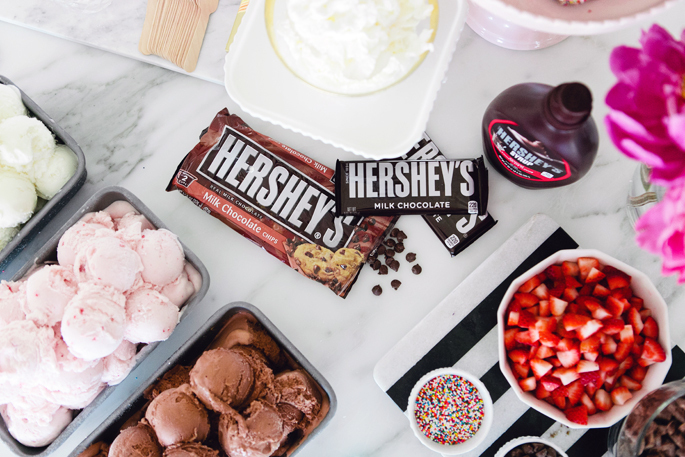 What did you do with all that leftover ice cream??? Such a good idea! Looks so yummy!! 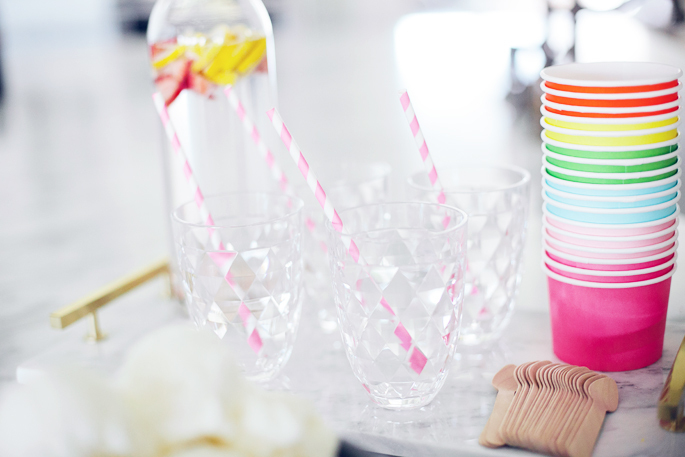 Love this post, so fun and festive, perfect for Summertime fun!! It is so good to be reminded to get out of our routine and just enjoy all the wonders of Summer. Those look so yummy! I live across the country from my family and miss them so much – it’s so nice y’all can get together! http://bit.ly/28L0BAj .. summer florals under $30! These photos are so pretty! 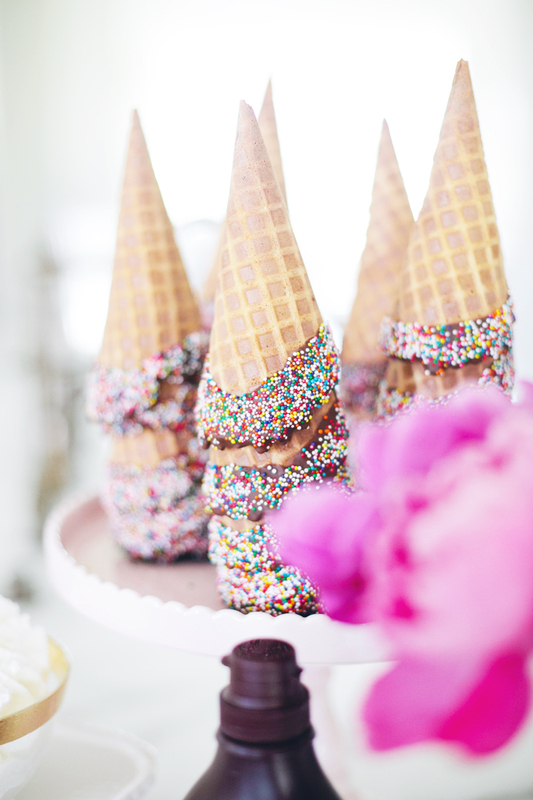 I love the ice cream setup, especially those dipped cones! You and your family are the cutest! That’s so awesome you and your sis live so close, makes things so much more fun and easier for get-togethers. Those cones look absolutely adorable! I love this idea for 4th of July parties!! I loved following this on snap!! Such a fun little event for the kiddos. What a fun little ice cream party!! I could go for one of those chocolate dipped cones! YUM! so cute!! Have a great day! This is so cute. Little isla is getting so big!! This looks so good! 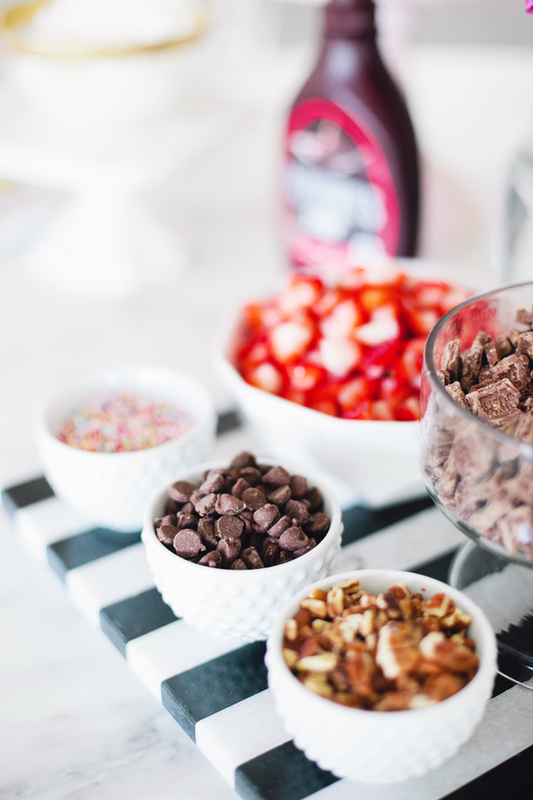 now i’m craving ice cream sundaes! It is seriously my DREAM to have my sister live across the street. That is kind of unreal. So fun your kids are all close in age too. Sundea bars are the cutest!! Love this idea to bring friends and family together! How did u make your ice cream scoops so perfect? 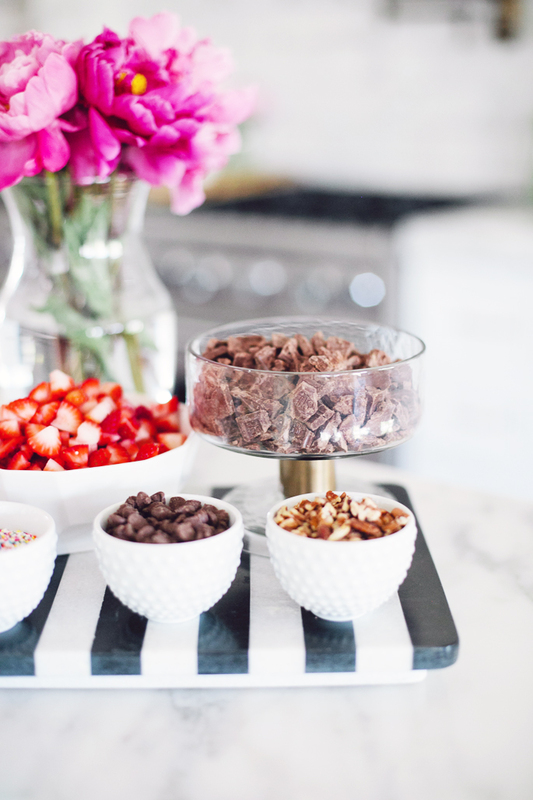 Does anyone know where she got the black and white stripe serving board? such a cute idea! 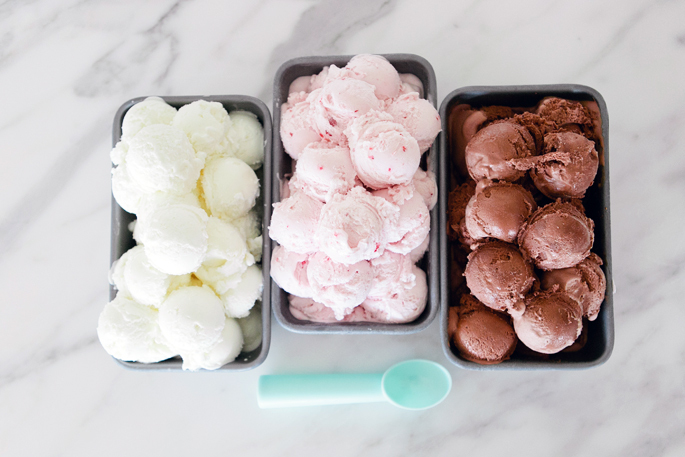 How did you get your scoops so perfect?! What kind of scoop do you use?